Like many mundane regulations, those associated with selling prescription contact lenses cost consumers dearly. For 20 years, David visited an old-school ophthalmologist who did his own exams and sold contacts in house at online prices. After that doctor retired recently, David began needing lens correction in one eye. David went to a new doctor. He was seen primarily by a technician and briefly by a doctor. Inexplicably, he was given a prescription to correct both eyes. His unaltered eye remained 20-15. His best eye was still better than average. Wearing both contacts gave David a headache. Only removing the contact lens from his best eye resolved the headache. He called his new doctor and asked for an explanation. It turns out that the necessary correction to bring his best eye to perfection would be 0.25. But contact lens only come in 0.50 increments. The new doctor chose to overcorrect. That this choice would double his contact lens revenue was undoubtedly a factor. David asked about getting a prescription and purchasing his lenses online. He was strongly cautioned that the lenses could be contaminated. Furthermore, he was told a prescription would only be given at the end of both contact lens selection and fitting. The fitting portion orchestrated contacts being purchased from the new eye doctor. At that time, David finally received a copy of his prescription. Throughout the 1990s, many optometrists or ophthalmologists were providing eye exams only if patients also purchased their eyeglasses or contacts from them. They would refuse to give out copies of prescriptions. Or if they did, the patient was required to sign a legal document waiving the caregiver of responsibility regarding the accuracy of the eye exam. Contact lens sales are an estimated $3.5 billion a year. Mail-order companies sell contact lenses at prices generally 20% lower than most optometrists. Most require you to enter the phone number of your current eye doctor. Then the sellers call and confirm that you have a legal prescription. The ability to purchase contact lens online that are 20% cheaper could save consumers as much as $700 million a year. Advocates of government regulation fail to understand how restricting free markets supports monopolies and protects a favored few from their competition. A class action lawsuit was finally brought against several contact lens and optometric professional organizations. The suit charged eye care professionals with using their state-enforced monopoly on writing prescriptions to create a monopoly on disposable contact lens sales. In 2001 a settlement was reached prohibiting the defendants from requiring consumers to buy eye care and products together. It also mandated them to provide a prescription automatically without being asked. In 2003, Congress passed the “Fairness to Contact Lens Consumers Act” to extend these requirements to all eye care practitioners. It identified an inherent conflict of interest when eye care professionals can fill their own prescriptions. This conflict of interest resembles the situation in the financial services world. Salespeople posing as financial advisors can earn their living recommending the financial products that earn them the greatest commission. But unlike eye care, the financial services industry does not have a state-enforced monopoly. Imagine how much damage would be inflicted on consumers if they could not purchase any investments except through commission-based brokerage companies. David’s eye care experience shows that monopolistic lobbying is strong. The act states that a prescription will expire not less than one year after the issue date. And the act defines “issue date” as the date on which the patient receives a copy of the prescription. By the time David needed to purchase contact lens again, it was over a year since his last exam but not since he had received his prescription. Nevertheless, when he tried to order more contacts, his eye care provider refused to verify his prescription and said a new exam was required. It took David’s eyes many years to need correction. He did not need a new prescription a year later. In almost every case, the patient is better able to judge when vision has changed sufficiently to require a new examination. Eyeglasses can be used indefinitely at the discretion of the consumer without requiring an additional visit. Disposable contact lenses should be no different. But if eye care practitioners can’t gouge consumers on contact lens, they will do so on frequent needless eye exams. 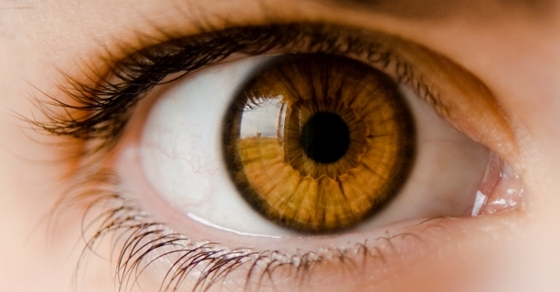 About 13% of all Americans wear contact lenses. The average visit to receive an up-to-date contact lens prescription costs an average of $114. The monopoly in writing contact lens prescriptions is currently a $4.1 billion revenue stream. And for consumers who know their vision hasn’t changed, this is a needless cost of government regulation. It is illegal to sell contacts in the United States without requiring a prescription. A Federal Trade Commission regulation provides penalties of up to $11,000 per violation. Although it is still illegal to sell contacts in the United States without a prescription, it is not illegal to buy contacts without a prescription. This is an important distinction for consumers who do not want to feed the U.S. eye care guild’s monopoly but also want to be law-abiding citizens. Several Canadian websites skirt the spirit of the U.S. law if not the letter. Some require a prescription but it doesn’t have to be issued within the past year. Others demand a prescription for someone but don’t verify your identity or the product you are purchasing. Another site tells you a valid prescription is required. Then it warns if you fail to send one in a timely manner, they will mail you your lenses anyway. Regulations should not trap and force needless expenses on consumers. The next time you find yourself paying $114 for a visit just to renew your prescription or purchasing contacts in bulk before your prescription expires, remember that this experience is the fault of Congress. Do New Healthcare Plans Cost More?